With over 25 years of combined experience, Bob and his staff stay up to date on all things automotive. Our shop has the latest diagnostic equipment and we use quality parts to keep your car running right. We pride ourselves in customer service & we work hard to provide the best customer experience. At Main Street Automotive, we are committed to providing only the finest workmanship backed by a service that is friendly, accurate and prompt. 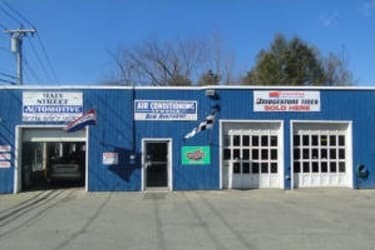 Located in Townsend, our state-of-the-art shop is ready to serve all your auto repair and maintenance needs. We pride ourselves in our knowledge of general auto repair and maintenance here in Townsend to get your car back on the road. Because all of our customers are important to us, our professional staff is dedicated to excellence. That is why we always go the extra mile to keep your vehicle running safe and sound.